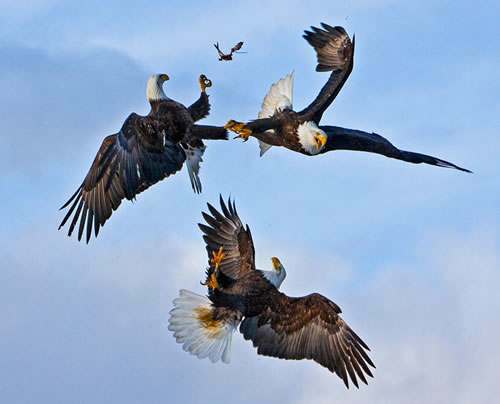 This is a shot of three eagles fighting over a fish in Homer, Alaska, from March 2008. You can see the fish at the top of the image flying by itself, but it was caught in its fall by another eagle. But it did not win. Why? It lacks intimacy with the viewer. It’s like looking at a cheap painting.